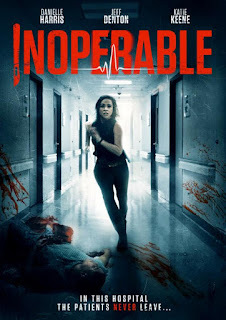 Danielle Harris plays Amy Barrett, a woman trapped in a hospital on a perpetual loop of random unexplained violent happenings where people are murdered and tortured by the hospital staff. 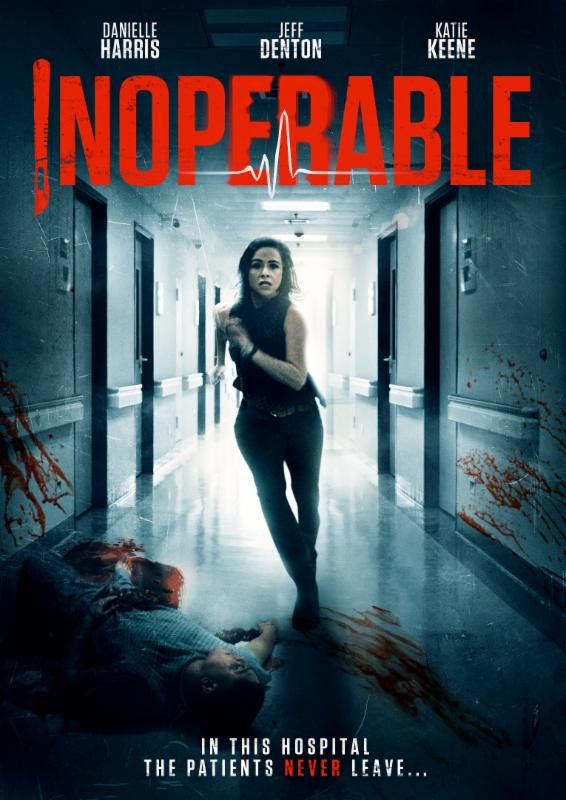 A hurricane is raging outside which seems to have awakened a supernatural force around the hospital causing all this to happen and to end the hellish loop of nightmares Amy must escape from the hospital before the hurricane passes over or be trapped forever. Not Danielle Harris' greatest role for sure. The nature of the story makes it incredibly repetitive with Harris' character adding very little in the way of mixing things up. Its kind of like a really boring but bloodier version of Groundhog Day! Amy starts every cycle off in a traffic jam then blacks out and wakes up in hospital until she eventually happens on a way out ignoring the clues and hints laid out for her. Along the way she meets Ryan (Jeff Denton) a security guard and Jen (Katie Keene) a couple who have been trapped in there for years and need Amy's help but end up worse off in the end. The acting from all involved is decidedly questionable and nothing gets explained all that well. Their attempt at a large final plot twist does very little to explain things, in fact it just offers up more questions and will leave you raising a quizzical eyebrow and wondering what all that was in aid of. I did however quite like the soundtrack composed by Jonathan Price and some of the effects were pretty good, with some cranial openings and a fair amount of gut spilling. In conclusion it fails on numerous counts with its repetition, unimaginative jump scares, confused storylines and mediocre acting.....not one to rush out and see, unless you're a big Danielle Harris fan.